Nobody enjoys the threat of the flu lurking everywhere this time of year. But with the right precautions you can protect yourself and your family and reduce your risk of contracting the flu. Our dental office in West Caldwell has put together a guide to help you avoid the flu and keep you healthy all year long. Your body functions optimally if it’s hydrated. This includes its ability to fight off germs. Not to mention, a well hydrated mouth is a healthy mouth, and that’s sure to make your dentist in West Caldwell happy. 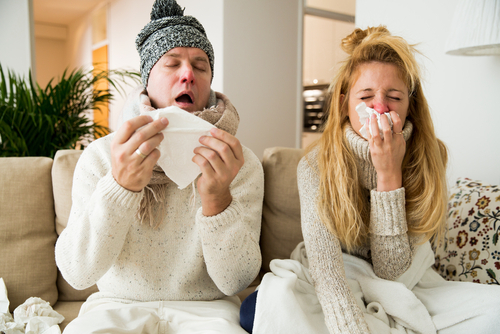 If you do happen to get sick, try your best to stay home to help prevent the illness from spreading to others. Our dental office in West Caldwell also encourages you to find sugar-free medications so as you’re working on feeling better, you’re not doing damage to your oral health.